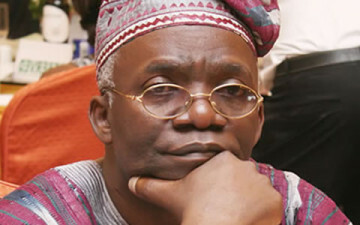 Lawyer, Mr. Femi Falana, on Monday asked the Nigerian Civil Aviation Authority to release information on the purchase of the two BMW bulletproof cars it bought for the Minister of Aviation, Mrs. Stella Oduah within seven days. The Senior Advocate of Nigeria argued that the Managing Director of NCAA, Mr. Fola Akinkuotu, was mandatorily required to release the requested information by the virtue of the provisions of the Freedom of Information Act. In his letter to NCAA, Falana asked the NCAA boss to supply copies of “all the documents relating to the purchase of the cars, including budgetary approval and due process for the entire transaction”. The letter dated October 21, 2013, was written on behalf of the activist by a lawyer in his law firm, Mr. Adedotun Isola-Osobu. In the letter, Falana also asked Akinkuotu to supply records of previous purchase of such cars if indeed it was customary for the NCAA to purchase such cars for the aviation minister and visiting foreign dignitaries. The letter read, “In your press conference at Abuja held on Friday, October 18, 2013 you did admit that the Nigerian Civil Aviation Authority actually bought the controversial armoured cars and that ‘it is customary to convey the minister and visiting dignitaries in security vehicles whenever they are in Nigeria’. “In the light of your claim at the said press conference we are compelled to request you to make available to us certified true copies of the documents relating to the purchase of the cars, including budgetary approval and due process for the entire transaction. “Since you claimed that it is customary to purchase such cars for aviation minister and visiting foreign dignitaries you are also requested to provide the records of previous purchase of armoured cars by the aviation ministry or the NCAA. The NCAA had admitted to have spent a whopping $1.6m (N255m) on the two cars. The purchase of the cars had since ignited calls for the removal of the aviation minister. The minister of aviation stella odual must be fired, for wasting national fund. she is nt worth of being a governmental position holder.